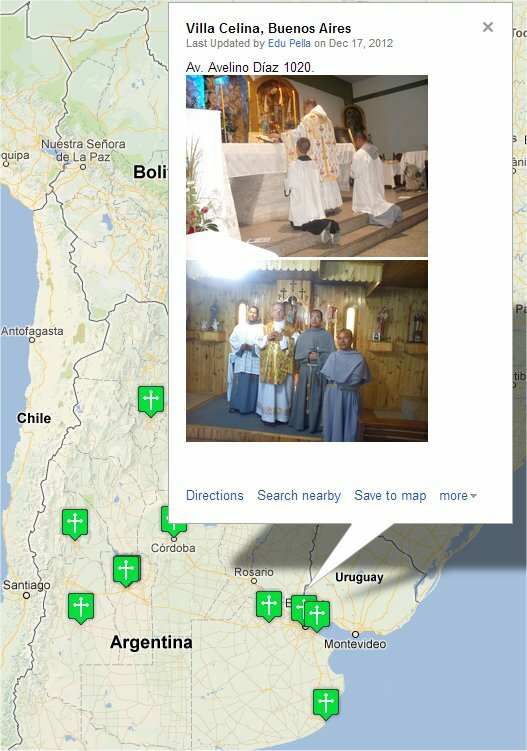 There is also a google map of places where Mass is said in the old rite in Argentina according to the provisions of Summorum Pontificum. (i.e. not the SSPX chapels in Argentina but regular chapels either diocesan or religious.) Una Voce Argentina also has news of Masses celebrated in that country. Unless these sources are all completely bogus, they do scotch one rumour that seems to be taking hold. I have seen bald assertions in various places that there are no old rite Masses in Argentina except those of the SSPX. That is wrong. It may be that Cardinal Bergoglio was not personally enthusiastic about the usus antiquior but as a Jesuit who exercised authority, it seems that he was loyal enough to implement Summorum Pontificum. Let us pray for him as he enters the world of papal liturgy which may be a different experience from the liturgy celebrated in many places in Argentina. Let us pray especially that he be given the grace of state as he begins his ministry as the successor of Peter. H/T Defénde nos in proelio and the comments box of Holy Souls Hermitage.